Home > 2015 > 03/31 > Hockey Graphs Podcast Episode 11: Playoffs!? 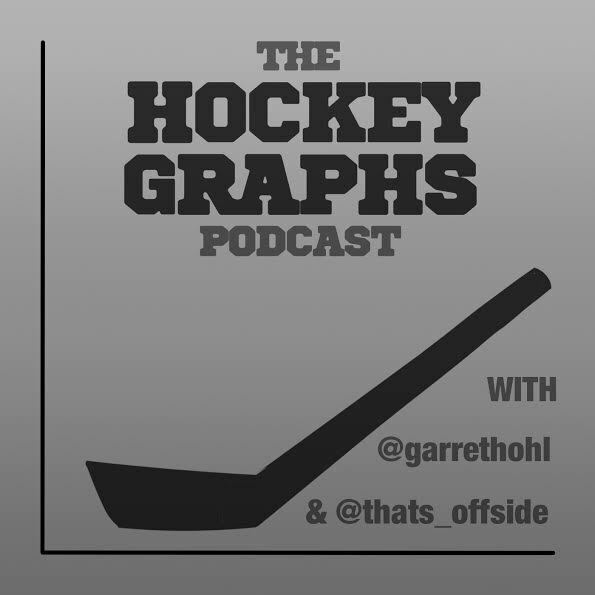 Hockey Graphs Podcast Episode 11: Playoffs!? Check out the new visualization resources on Hockey Graphs! Definitely getting better guys! The audio quality isn’t the best, but it’s passable. The banter has been reduced a minimal – but still amusing – level. You’re going a good job of getting back on track after digressions (Garret’s job during the Wayne Gretzky tangent stands out as does Rhys getting back on track with Vancouver’s playoff odds in the Western Conference after singing a little jingle about “Tank Nation: Tanking Together!”). It’s becoming a legitimate broadcast. Next stop: guest appearances. If the Oilers finish above the Canucks next year, I’ll eat my hat. They’re three or four good forwards, two or three good defencemen, and a good goalie away from competing for a playoff spot. And McTavish’s management of the Oilers defence has been so bad that there’s no way the Oilers are making it any time soon. It’s still way too damn quiet though. This is a really simple thing to fix. Time to get this podcast up on iTunes boys.